We have been pondering new ways to express the importance of aligning the premium content on your website with your B2B sales process. Recently, we discovered the included infographic that does a very nice job of making several important points about the relationship between the two. 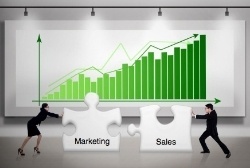 It specifically describes how B2B sales teams can leverage quality website content to generate more revenue. Bristol Strategy takes that idea one step further and constructs a content strategy for our clients that model and implement a B2B sales process with the help of the content and marketing automation tools. In addition, we help companies with sales enabelment services to help their teams leverage the content created for inbound marketing. The primary driver for offering premium content on your website is to address the change in visitor/prospect behavior to research and select products or services. The Internet has shifted the power from the seller to the prospect because of the vast amount of information available on virtually any topic. Prospects, therefore, have the option and the preference of conducting their research without involving your company. Businesses often establish partnerships with agencies that provide content marketing services to keep pace with the rate of content development that is required to succeed on-line. If you modeled the sales process that you would perform if you had unencumbered access to the prospect very early in the sales process, you would focus on the problems that trigger customer investment. The employees of the company set a goal to address the problem and immediately start searching each element of the problem and identifying possible solutions. The old way: If you had access to the prospect this early in the sales cycle, your conversations would focus on the identified problem and possible solutions. You would describe your solution in a differentiated but generic and unbranded way. Your discussions would focus on answering common questions the prospect would ask when educating themselves. The new way: Your business would create Awareness Stage content like blog articles and whitepapers that address the goal, problems, and solutions. Once the prospect downloads one of your premium content pieces, you would leverage marketing automation tools to send a series of emails that address the common questions the prospect would have asked if you were meeting with them. With each content element, you offer targeted content for the next phase (Consideration Stage) of the prospect's journey through the information gathering phase. Most prospects do not reach out to companies or their sales people until they have researched the problem, reviewed several solutions and are considering using your company's product or service to address their need. Once they have completed their research (Awareness Stage) and are now deciding which solution they would like to implement (Consideration Stage) they then research your company to determine the fit. 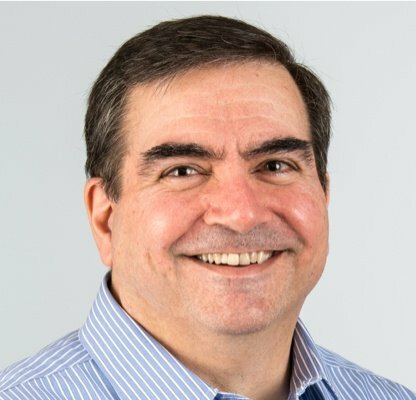 At this point, the information must have the right context for where the prospect is in the purchase process (otherwise known as the Buyers Journey Stage). The old way: The prospect would call your sales person back for a follow-up meeting. Since your sales person established thought leadership, they are now considering your company for the solution. Prospects typically ask the tough questions at this stage. This line of thinking and questions is typically called "Objection Handling." Your expert sales representative is prepared to answer any and all objection related questions. The new way: Offer premium content that draws from the awareness stage, but then transition to branded information that describes your products and solutions in a way that differentiates your business. The prospect may reach out to your sales team, but it is more likely that they have new questions about your company, products or how you serve new customers. When you don't have access to the prospect, then implement a new email campaign that is triggered based on download of "Consideration Stage" content that addresses the most probable objections. With each content element, you offer targeted content for the next phase of the prospect's journey (Decision Stage) through the information gathering phase. When a prospect reaches the decision stage in their journey for information, then they are ready to address any final outstanding issues they may have uncovered in their research and are seeking engagement with your sales team. That is why we call prospects that reach this stage a "Sales Qualified Lead." 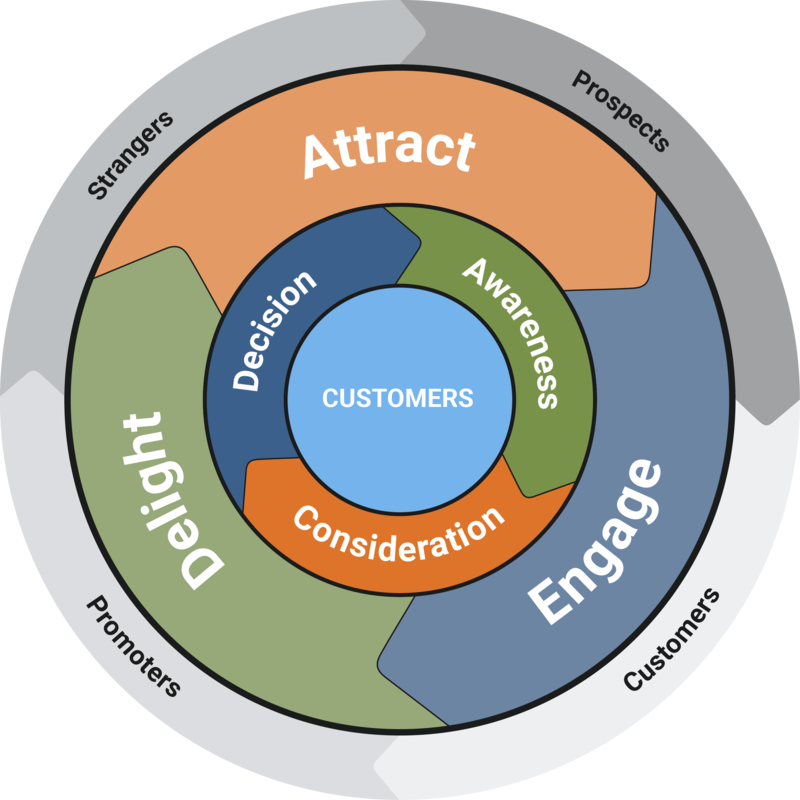 Once a prospect engages with a decision stage Call-to-Action (CTA) on your website, then the prospect is ready for sales engagement and has pre-selected your company. The decisions stage is where the "old way" and the "new way" merge. The key difference is, your business must offer multiple decision-stage offers that cause the prospect to "opt-in" for a discussion with your sales representative. Many businesses have too few decision stage CTAs on their website. There certainly should be more than the one "Contact Us" CTA, and they should be decision stage offers. If your company has provided information throughout the prospects journey for information, then your business has established thought leadership and trust. The prospect is now ready to map your solution into their need, and it is the responsibility of the sales rep to close the deal, which is what they do best! Click Here to learn about developing a customized content strategy for your business! 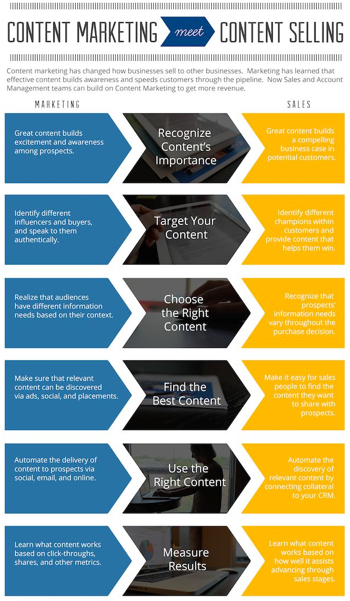 The Infographic describes the role of the content at each stage in the prospects buying process. The purpose of each content piece is slightly different for Marketing and Sales, but both can leverage the same content if it takes into account the sales process. Because prospects have the control of the research phase of addressing funded problems, your business must have the correct content on your website that satisfies their research needs. If you add Marketing Automation tools that engage prospects based on their website behavior, then you can model and automatically deliver content used in the early part of your sales process to the prospect. Your business in essence gains backs the authority and opportunity to influence the prospect to favor your products and solutions. If you implement stage-specific content and automate the engagement of this content with your visitors and prospects, you then have created a "Lead Generation Engine" that serves your business 24 x 7. If you have an interest in developing a content strategy for your B2B business, it is the way Bristol Strategy begins each engagement with clients. Download the data sheet that describes how we work with you to develop a content strategy that model your sales process and delivers qualified leads to your sales team.